Ugh. Jokes aside, getting hurt in a car accident can change your life even if the injury isn’t obvious to those around you. During the mid 1990’s, Faye, one of the partners at WJS Legal, was involved in two car accidents within a short period of time. The damage to the car was notable, but more challenging was the amount of tissue and nerve damage that she sustained. You wouldn’t know it if you saw her on an average day. She tends to wear high heels* and walks without a limp. The injury was substantial enough that two independent medical examiners approved her for ongoing treatment when her insurance company tried to end coverage of her therapeutic treatments. ** The tissue and nerve damage were significant enough that they impacted how often she could travel for work, thereby making her first career as a sports therapist fairly impractical. Twenty years later, she still has to think about lumbar support in every seat and and bed, as well as struggles with fibromyalgia and migraines. Occasionally, she twists the wrong way in her sleep and is in agony for a couple of days. Personal injury cases are not about ambulance chasing attorneys. Lawsuits of this type are an attempt to make you the same or “whole” as you were before the accident. Even with the best health insurance, medical expenses can add up quickly. Ability to work may be impacted if you have a physical job, one that requires a lot of travel or if you sit for a long amount of time. If you can’t do the things that you used to be able to do, an injury can also effect relationships with your spouse, children and co-workers. A settlement won’t take away the physical pain, but it can help to make the other burdens of the injury easier. In Massachusetts, there is a three (3) year Statute of Limitations to file a lawsuit for personal injury. In much more rare circumstances, it is possible that your injury is not known within that window of time and can be extended. The timelines are also slightly different if there is a government agency involved. 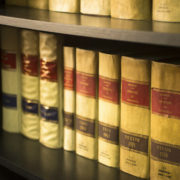 Hiring an attorney for a personal injury claim is usually a good idea. We are not intimidated by insurance adjusters who want you to settle quickly and take blame. We specialize in knowing how much an insurance company will actually pay for your injury and are experts in negotiating the best settlement possible. As always, please let us know if we can assist you with this or any other legal matters. * Yes, Faye wears a lot of high heels because she loves the look of them. She also does it because it’s usually more comfortable on her back; however, she does realize that it is a false sense of comfort and that she is not actually changing her lumbar position. For that reason, she also rocks more pairs of Vionics than the average person. ** She still does a regimen of chiropractic and message therapy to maintain her back. She also gets scolded by both her message therapist and chiropractor for wearing heels. *** This blog is dedicated to my friend, Paul Cacolice. He gave me great advice when I first got hurt and continues to lovingly roll his eyes every time a pair of high heels appears on Facebook.